Heavy Duty, Strong, and Durable! These cutters can cut thick metal barb wire, chain link, high tensile wire, and other wire fences. Cut wire that is up to 10 gauge thick best with these heavy duty drop-forged jaws. The spring loaded handle makes this cutting tool easy to use. The famous red rubber grips are comfortable, too. Unlike other pliers and similar tools, these won't come open in your tool box. The metal handle latch ensures they stay together when not in use. At Red Brand, we've earned our reputation as the leader in Ag fencing. We've consistently provided quality and long lasting fence products since 1889, so you can buy with confidence. Heavy Duty, Strong, and Durable! These cutters can cut thick metal barbed wire, chain link, high tensile wire, and other wire fences. Cut wire that is up to 10 gauge thick with these heavy duty drop-forged jaws. The spring loaded handle makes this cutting tool easy to use. The famous red rubber grips are comfortable, too. 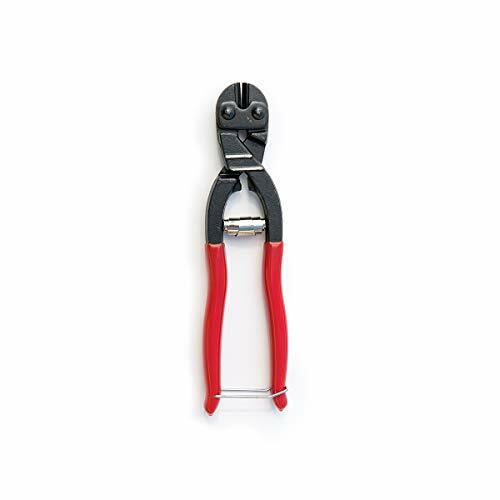 Unlike other pliers and similar tools, these won't come open in your tool box. The metal handle latch ensures they stay together when not in use. If you have any questions about this product by Red Brand, contact us by completing and submitting the form below. If you are looking for a specif part number, please include it with your message.